Fiber-Mart’s HD-AHD over Fiber Video Converters-Transimitter+Receiver are the perfect choice for both large and small Pro AV installations. Devices are available for either standalone or rack-mount installation ,which is suitable for different working environment.Compatible with 1280H/25f, 1280H/30f, 1280H/50f, 1280H/60f. Lossless non-compression real time transmission over long or short distances with one fiber. In addition, the system support stereo audio, RS485 & RS232 serial data, Loopback output, Contact Closure and IP Ethernet transmission. New signals may be added or fully redundant optical transport solutions may be developed. 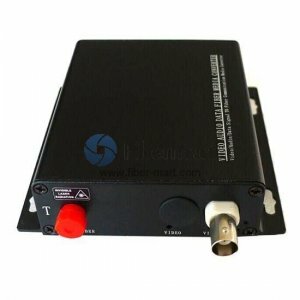 Applications include specialized Remote OB Van/Truck Video Feeds, Uncompressed Long-Haul Signal Transport, General Broadcast (News/Sports/Events), Broadcast Studio Camera Feeds, where long distance transmission of HD video signals are necessary, fiber optic transmission ensures high quality signals with no interference.